One of the best features of the wonderful Monks' Barn in Hurley is the fact that you get two separate rooms to use for different purposes on your wedding day, and plenty of time to decorate them. 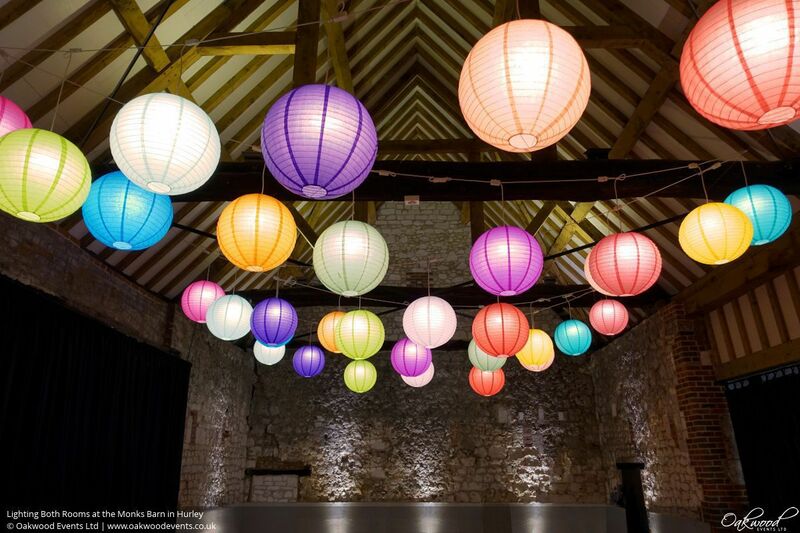 For this gloriously colourful wedding we were asked to install a large fairy light canopy in the Great Hall and a colour changing disco lantern canopy above the dance floor in the smaller barn. 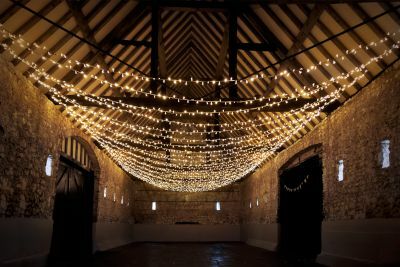 The fairy light canopy chosen for the larger barn was a widthways style, which creates a single large side-to-side swag of sparkly fairy lights suspended from the beams. This design is one of our favourites for the Monks' Barn because it creates such a dramatic impression as you enter through either the large wooden doors to the garden or the archway leading from the other barn. It's a really pretty, stylish design and is fully dimmable for the evening. The colourful lit paper lanterns above the dance floor in the smaller barn are again hung from the beams to create a ceiling of colour. The canopy is supplied with a touch-screen controller to set the bulbs inside the lanterns to a static warm white for the day and a choice of colours or colour changing disco modes for the evening's celebrations. This way, you can transform the mood of the room from arrival drinks or ceremony to party time later on! We love working at the Monks' Barn. 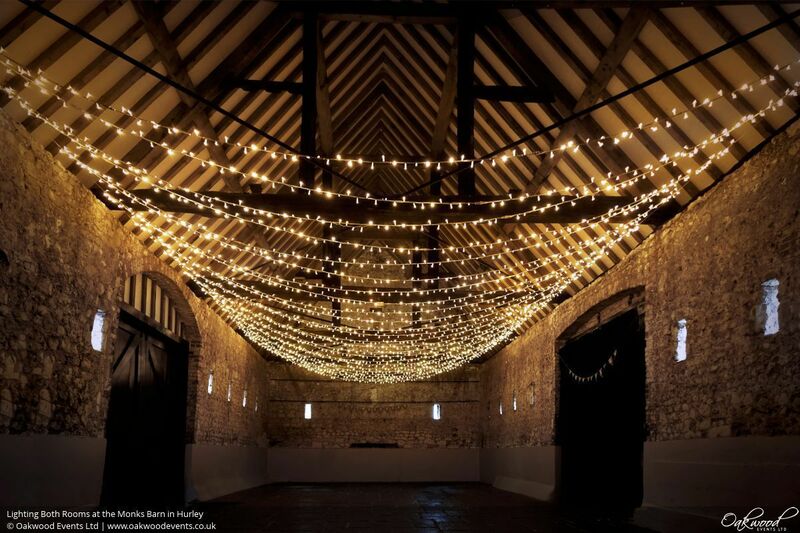 For more information on our services and examples of our previous work there, why not check out our Monks Barn lighting page? Just wanted to say thank you, we loved the lighting and the paper lanterns were perfect. So many of our guests commented on the lighting, it was worth every penny!